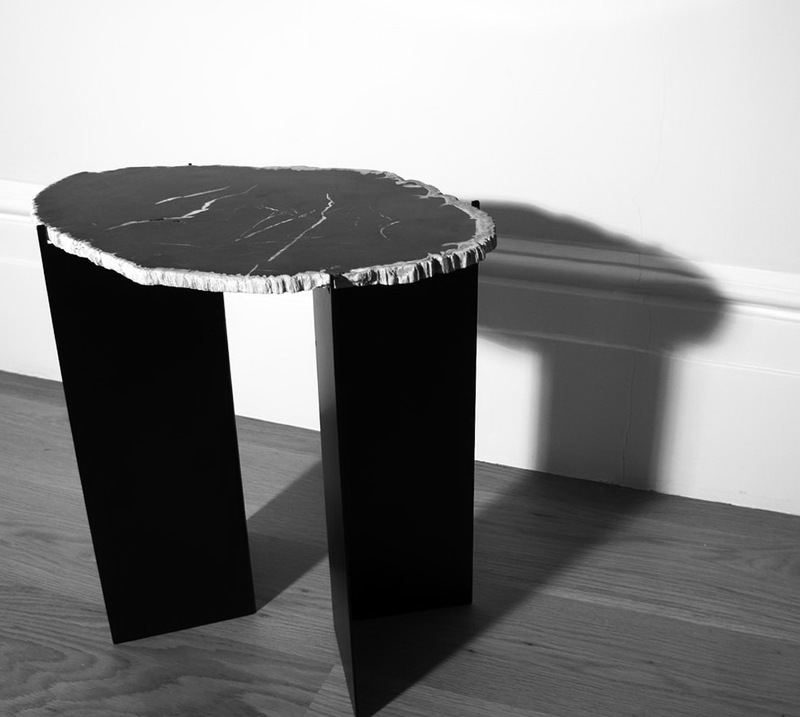 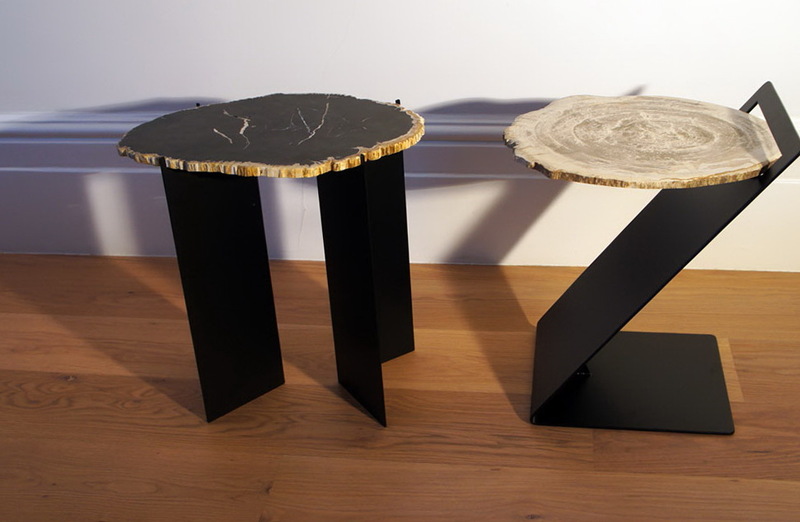 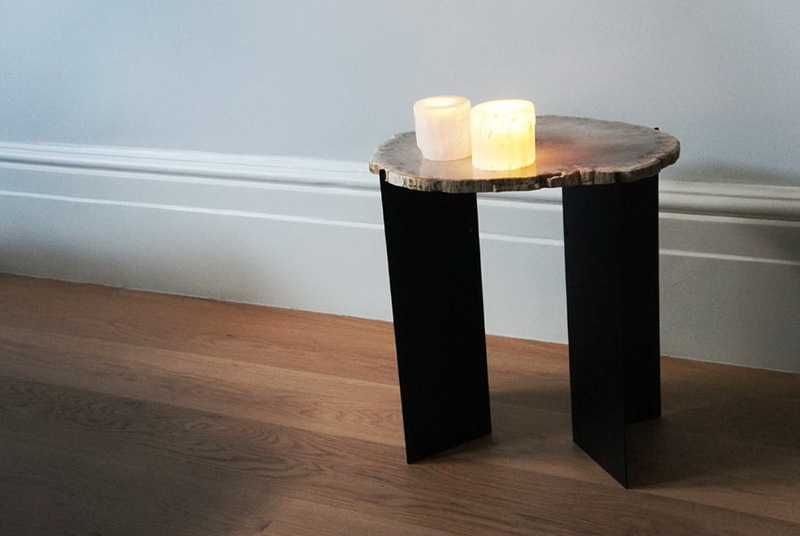 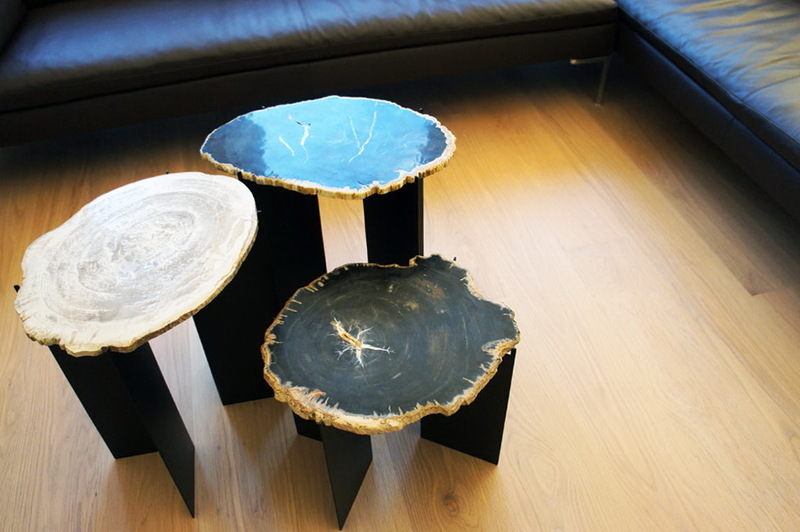 Due to the inherent unique shape of each slice of Petrified Wood (fossilised wood from Indonesia that is up to 20 million years old) Stephane Michaelis has designed two contemporary side tables which incorporate this oldest of materials, in a way that the base can be produced as standard whilst the top surface is completely individual, and can be selected by the end user. 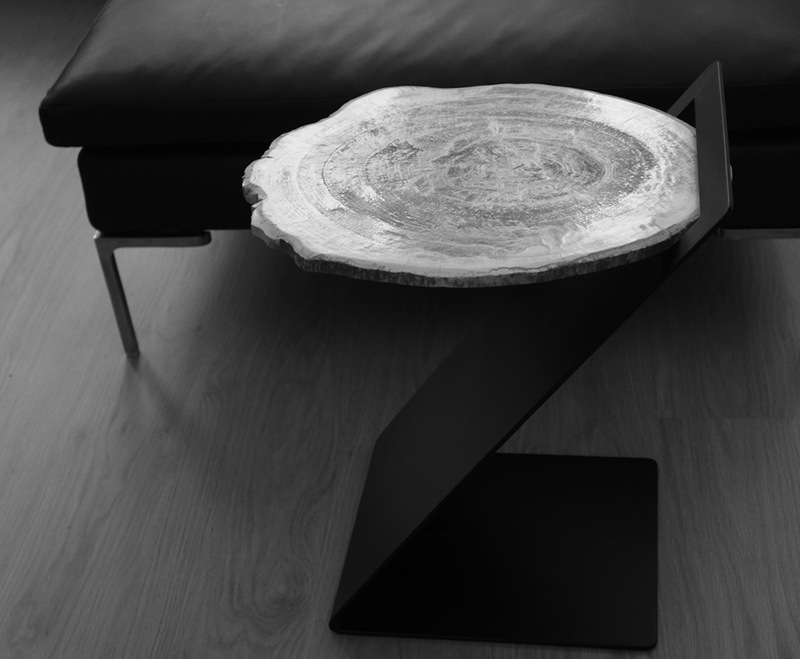 The Penopang Z500 is a striking and contemporary table that appears to have the petrified wood slice cantilevered over the base. 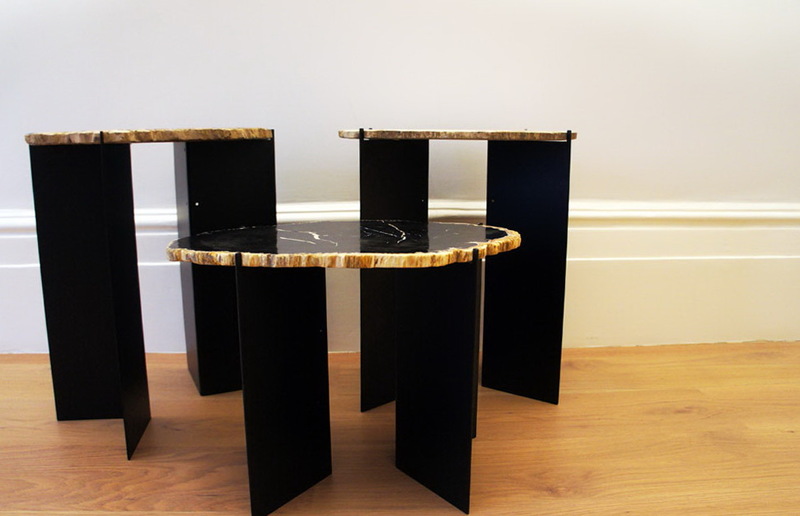 The Siku V500 comprises of two elegant legs, that are endlessly flexible, and allow for the very irregular edges of the stone to be easily accommodated into making this a very pure and simple piece of furniture.